I’d customized the brightly lit keyboard of the Razer Blade Stealth with all the meticulousness of a gamer, but I hadn’t just customized it for games. When it opened up Photoshop, the most mundane of apps, and the entire keyboard was a rainbow of colored keys. The Heal key was green, the Move key was blue, and the Crop key was red. While not as fancy as the MacBook Pro’s new Touch Bar or the customizable OLED keys on the old Razer Blade Pro, this was a little spec of useful customizability for productive people, and it comes in a $1250 gaming laptop. MSI, Origin, and even Asus all have laptops with customizable keyboards, so the tech isn’t new, but typically, it’s only been used in big beefy laptops that require two hands to carry and have screens that take up the entire width of your lap. The Razer Blade Stealth, now in its second iteration, is thus a rare laptop. It’s got all the design trappings of a gaming laptop, but in a body that weighs just 2.84 pounds. This year’s model takes the successes of the original Stealth, and makes them even better with software tweaks and more powerful guts. At first glance the Razer Blade Stealth is unmistakably for gamers. It’s svelte casing is anodized black aluminum that absorbs the grease off your fingers like the paper wrapper off a cheeseburger. The trackpad’s one of the absolute best you can find on a Windows laptop. It responds to your every whim and even makes gaming a joy. Usually gaming on a trackpad is anything but. The keyboard, before you customize it, slowly rotates between the colors of the rainbow, the light of the keys reflecting off the shiny touchscreen (available in a 1080p or 4k version). The Razer symbol on the top of the case is a dim green when the laptop is powered off, but glows bright as soon as it’s on—A loud declaration that this thing is for GAMERS. But Razer has realized that while it makes a fantastic laptop with one of the sharpest designs out there, not everyone wants to shout their hobbies out to the world like a sixteen year old who shops at Hot Topic. So you can use Razer’s Synapse software to customize the lights on the keyboard, setting them to a cool “mature” white or applying specific colors to specific keys when the system enters specific programs, and with this year’s Stealth you can even dim the logo. They’re little things, but they lend the Razer Blade Stealth a frank elegance that gaming laptops usually lack. This is a laptop you can whip out at the airport or a coffee shop and not worry about the confused looks from regular folks that gaming laptops normally warrant. And to be fair to the Razer Blade Stealth, it’s really only a gaming laptop in so much that it is made by Razer, one of the grand poobahs of PC gaming. The Stealth doesn’t actually have a discrete graphics card, so gaming works via the Intel Kaby Lake i7-7500u CPU with an integrated GPU. This is the first Razer laptop with Kaby Lake inside, and it proves that Intel’s seventh generation processor lives up to the hype surrounding its gaming capabilities. It’s more than enough to play the beta of Gwent or Civilization VI or Overwatch on medium settings, though it quickly choked when I turned on Battlefield 1 for the first time and stayed fairly unplayable even at the lowest graphics settings. The USB-C port handles charging duties, but can also be connected to the Razer Core for external GPU magic. There’s a USB 3 and HDMI port on the opposite side. Razer sells an external GPU system, the Razer Core, that could make playing big games possible. It makes use of the Stealth’s Thunderbolt port—and is theoretically usable with any laptop that has a Thunderbolt port. Yet between the Core itself ($500) and a solid video card (a minimum of $250) its an additional investment that jacks the price of the cheapest Razer Blade Stealth to $1750...which is still cheaper than that new MacBook Pro. Sans the Core the Razer feels kind of like a deal. Besides being far more affordable than even the cheapest MacBook Pro, it’s also $50 cheaper than the new Dell XPS 13 with the same Kaby Lake processor. The two laptops are of similar build quality and weight, but thanks to a tiny bezel the XPS 13 can squeeze a 13.3-inch display into a chassis a full inch smaller than the Razer Blade Stealth and nearly one pound lighter. So what you save in cash on the Razer Blade Stealth you pay for in bulk (and a 12.5 inch display). This thing feels crazy thin despite technically being larger than the XPS 13. You also lose out on battery life. The Razer Blade Stealth lasted less than an hour and a half playing Civilization VI on battery. It faired better when tasks were limited to browsing the web and listening to music (an average 6 hours), but it’s not an all day computer like the Dell XPS 13. You’ll want to keep the small USB-C charger handy. Despite some additional bulk and paltry battery life, the Razer Blade Stealth might just be my favorite laptop this year (though I’ve only spent an hour with the new MacBook Pro thus far). 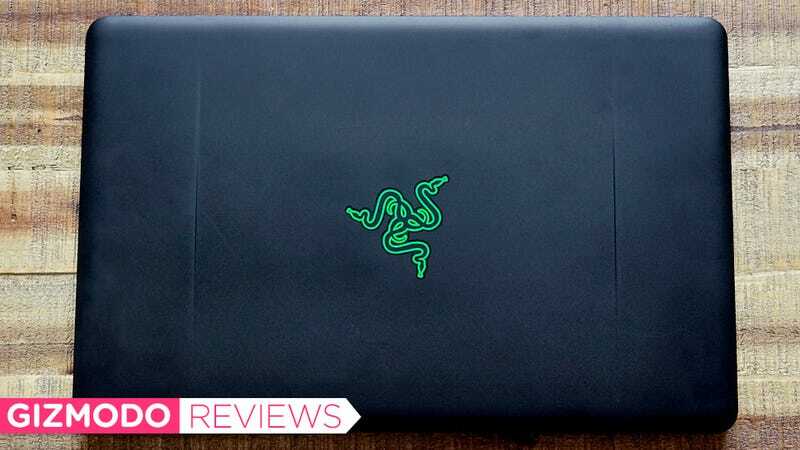 The Razer Blade Stealth is a great blend of form and functionality, with a colorful keyboard and one of the best trackpads available on a laptop today. If you’re looking for a small laptop that’s big on power and attractive design than do yourself a favor and consider the Razer Blade Stealth. It might scream gamer, but this one’s good for the rest of us too. 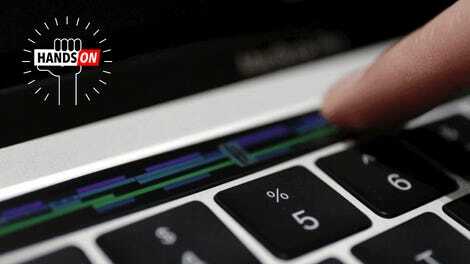 A trackpad that doesn’t make you instantly question your decision to use a Windows device. Keyboard has incredible customization, which is useful for anyone in gaming or productivity. Battery life leaves a lot to be desired. I managed about 6 hours with light use and just 1.5 with heavy duty use. It’s bulkier than the comparable Dell XPS 13 and has a smaller display, but is also about $5o cheaper. While it doesn’t have a discrete graphics card, it’s actually perfectly fine for less graphics intensive games. This year’s Stealth allows you to dim the bright green logo. It also comes with Kaby Lake, a welcome improvement for anyone in need of a speed boost. One of the best looking laptops available.